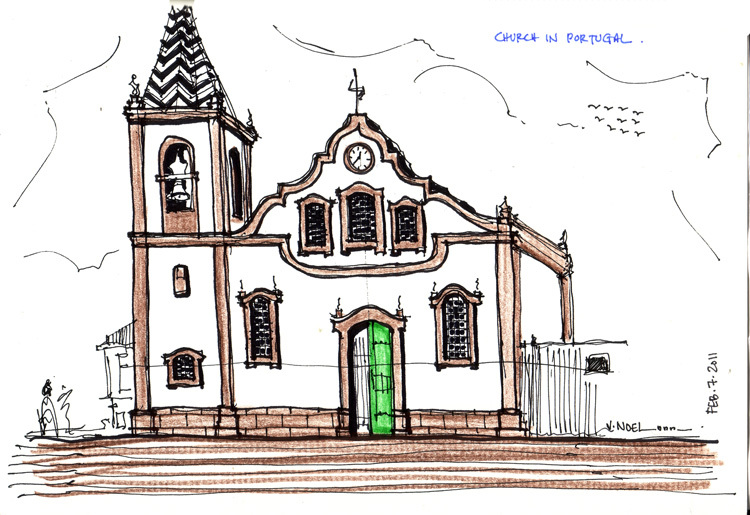 The sketch above is of a church in Portugal. I haven’t been there just yet, but my friend travels to Portugal frequently. On one of her trips, she sent me photos of her travels, and this is a church I saw in her photos. She recently got married there and thought I would dedicate today’s post to her. Congratulations to you and your husband W!